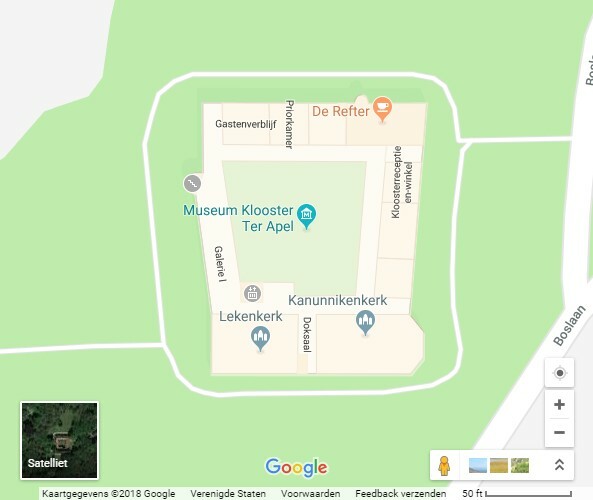 This is an invitation to visit Ter Apel Monastery. 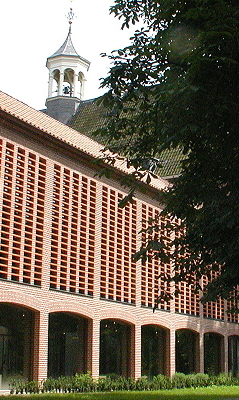 A unique historic building serving a suitable cultural purpose, beautifully situated in a leafy enclave. 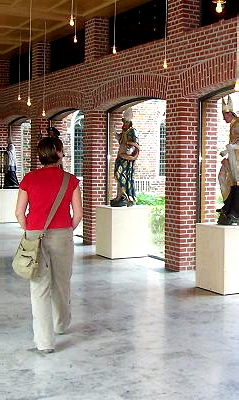 Museum for Monastery and Church History & Religious Art, Gallery I & II for Contemporary Art, Concert Stage, Meeting and Congress Centre, Wedding Location. 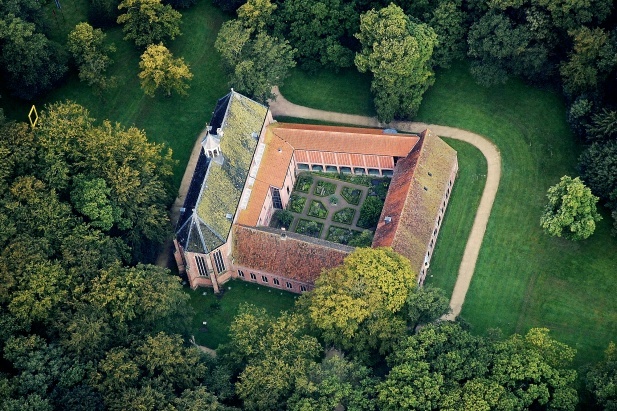 Ter Apel Monastery, built in 1465, is a former monastery in the village of Ter Apel in the northeastern Dutch province of Groningen. 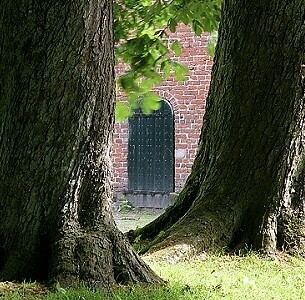 It is located on a forested ridge of sand along the ancient trade route from Münster i/W (in Germany) to the city of Groningen. 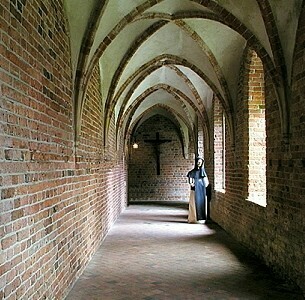 For passing travellers and pilgrims the monastery was a place of hospitality and dedication. 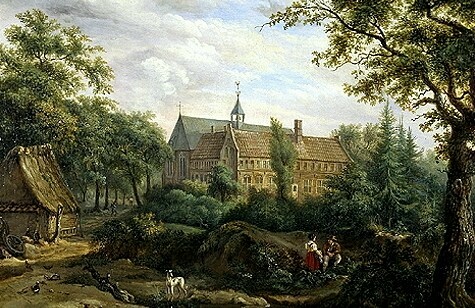 Even though accents have shifted, Ter Apel Monastery has been a meeting place even to this day. It is a meeting place for art and culture enthusiasts because of the old and new architecture, and the permanent and changing exhibitions. 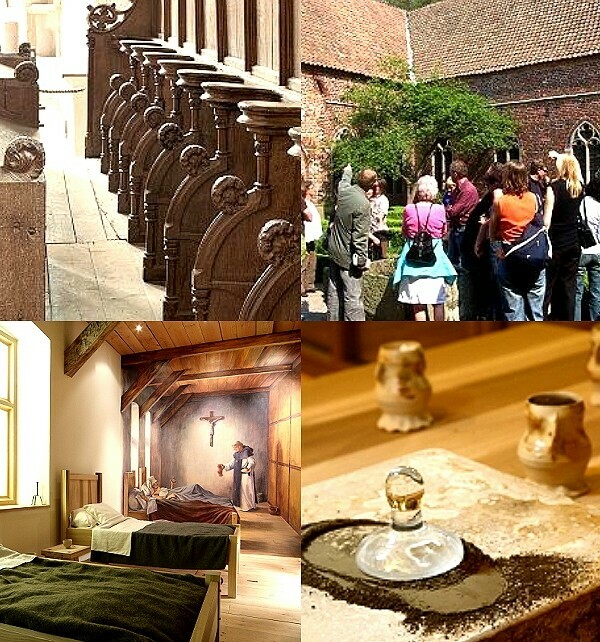 It is a meeting place for fans of old and new (church) music, the acoustics of the monastery church are unsurpassed. It is for nature lovers because its wooded rural location offers plenty of walks. And also for anyone who just needs a moment of peace and reflection. 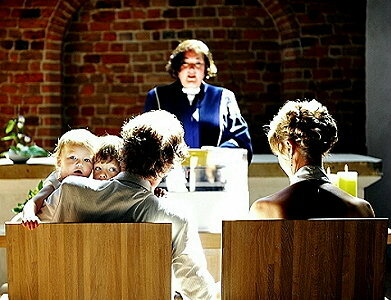 Ter Apel Monastery is available as a venue for weddings. For individuals, businesses, and institutions there are various possibilities to organise a stylish reception, lunch, dinner, meeting or congress. For information please contact Anastasia vanderWerff-Podgórski, hospitality&facility manager, tel. +31 599 581370.